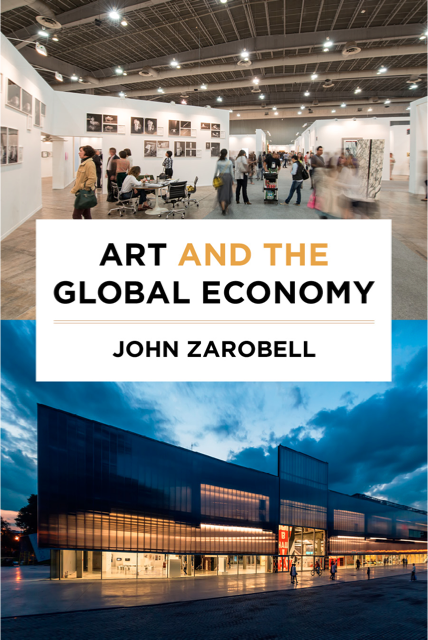 TIAMSA member John Zarobell is author of Art and the Global Economy (UC Press, 2017). This publication analyzes major changes in the global art world that have emerged in the last twenty years including structural shifts in the global art market; the proliferation of international art fairs, biennials and blockbuster exhibitions; and the internationalization of the scope of contemporary art. Zarobell explores the economic and social transformations in the cultural sphere, the results of greater access to information about art, exhibitions, and markets around the world, as well as the increasing interpenetration of formerly distinct geographical domains. By considering a variety of locations—both long-standing art capitals and up-and-coming centers of the future—Art and the Global Economy facilitates a deeper understanding of how globalization affects the domain of the visual arts in the twenty-first century. Members please log in to find the discount code to the book in the MEMBERS ONLY Area.